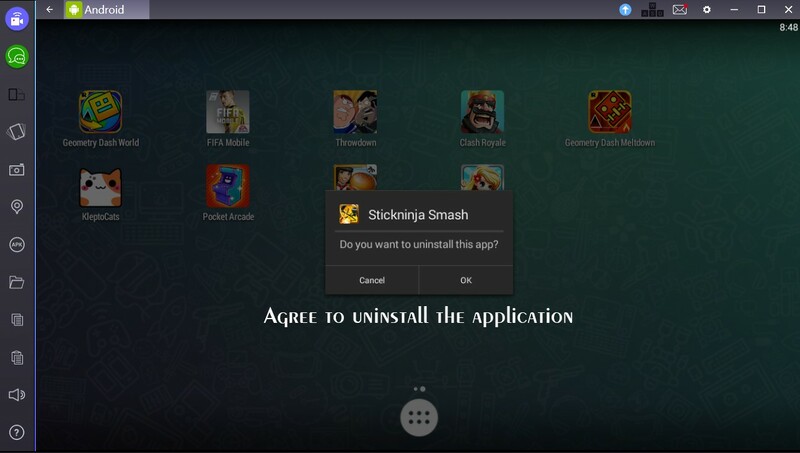 Uninstalling apps from Bluestacks is a simple process, but a complete uninstallation process may take additional operations to finish. 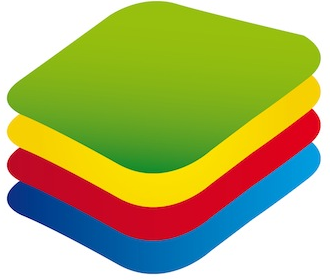 Note, that Bluestacks creates a virtual operating system and emulates a running Android OS on your PC. This means that the vast majority of applications that you install on your PC are not registered in your main OS. If you need to uninstall an app, Bluestacks App Player functionality is usually enough. 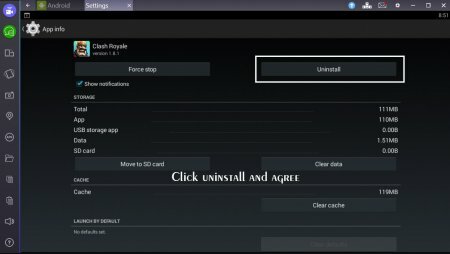 There are two main methods of uninstalling an application in Android OS. The first method is using an icon dragging from your main screen or Menu screen. Click “OK” in the pop-up window and finish the installation process. This will take a few seconds. 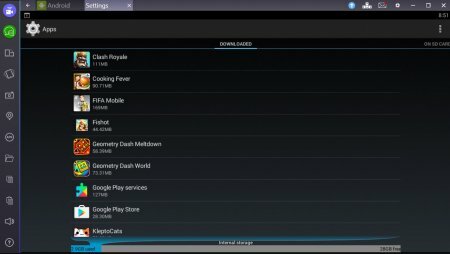 Note, that some data will not be removed from your Bluestacks folder. 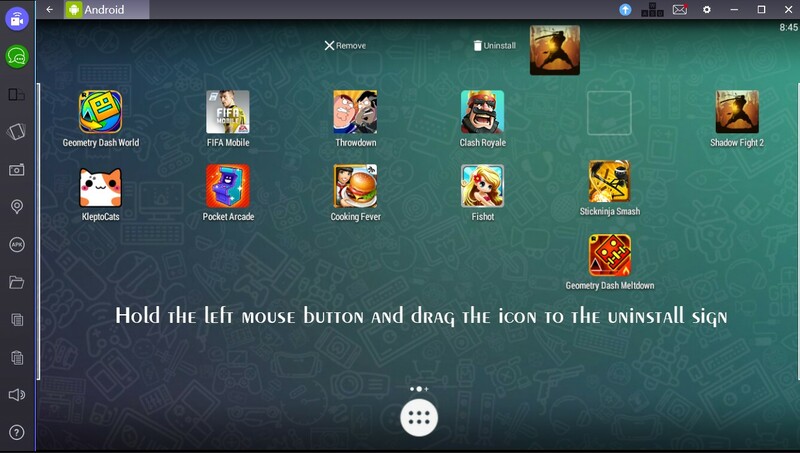 The second method is uninstallation from the Settings menu of your Bluestacks android emulator. Go to “Settings -> APPS”. 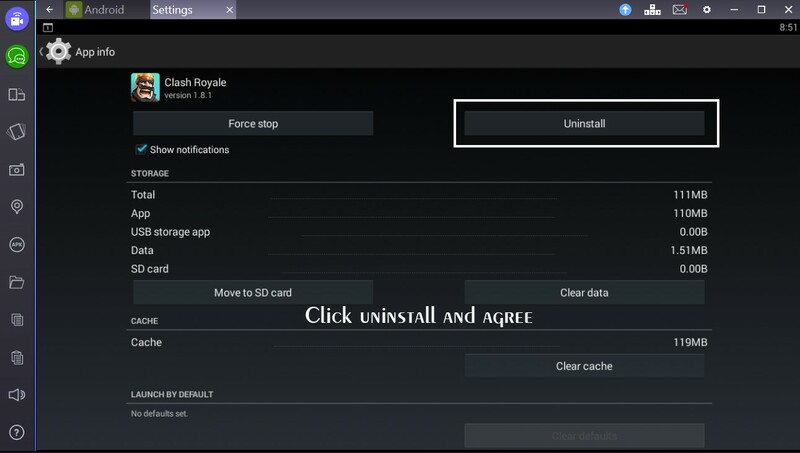 Choose the application that you want to uninstall and click it. Click the uninstall button and then confirm the action by hitting the “OK” button in the pop-up window. Using the second method is preferable as it usually removes data from your hard drive completely, which is not true when removing the app from your screen by dragging the icon. Note, that it is highly recommended to clear cache in Bluestacks before uninstalling the application. This helps to make the drive empty and get rid of files that you do not need after you uninstall and application. You can also use special uninstallation applications available in Google Play Store. 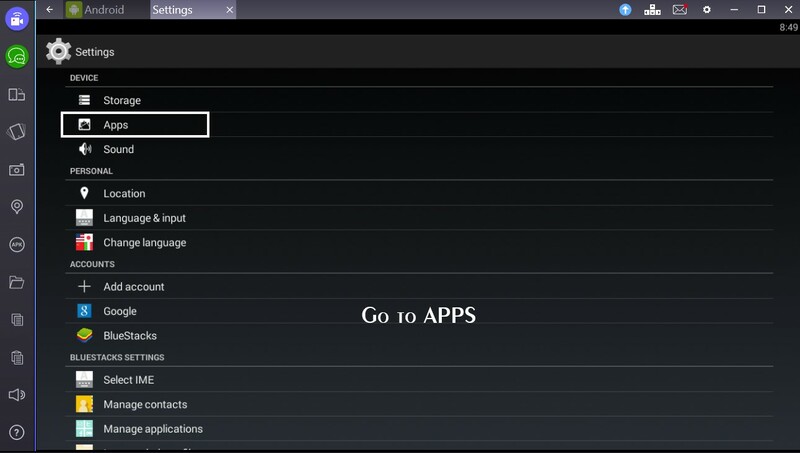 However, we would recommend you to simply remove apps by using Settings menu. 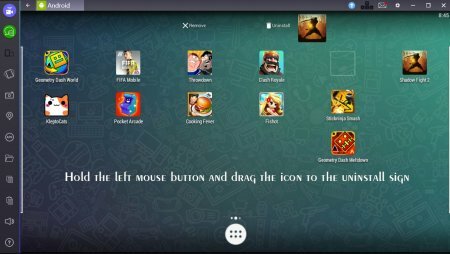 If you want to enjoy all features of Bluestacks App Player, choose the best version here on our site!